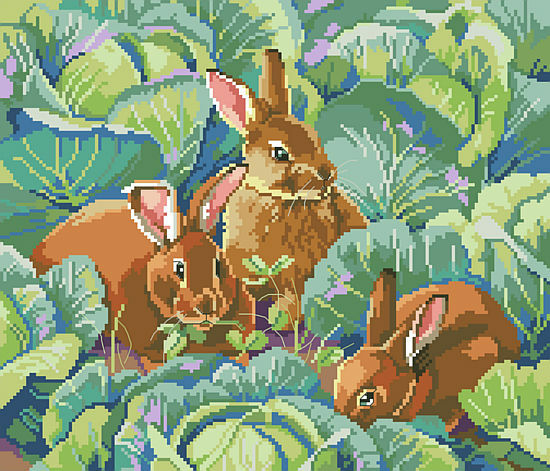 Three bunny’s nibbling clover peek out from the cabbage patch in this realistic and elegant Bunny’s Cabbage Garden design by designer Linda Gillum. 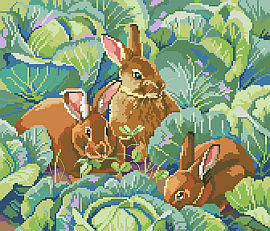 This design works up just as well in needlepoint as in cross stitch since there is no backstitching and would look great in big stitch on 6 count Aida fabric. A classic design for the gardener in your life.